This October marks the launch of the world’s first #RumCoin, which is enclosed with the oldest rum in the world – Harewood Rum 1780. Lux Coinand Mint of Poland have collaborated on this special project! The Rum Coin will be presented on October 20 during #RumFest in London. ​I think you will find that most people disagree. Though, the beauty of this hobby is that one needs not concern themselves with what others think one should collect. I hate mint products like this. 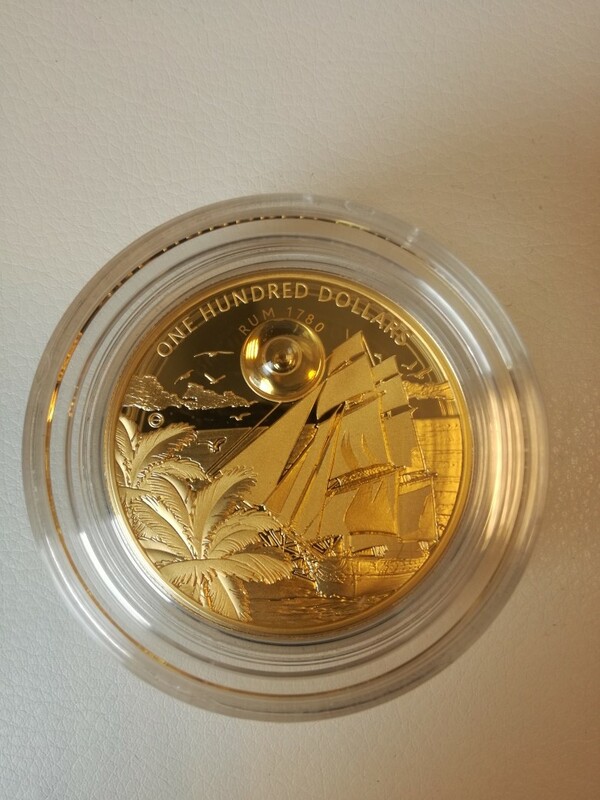 The coin is brilliant but it is only worth the bullion value of gold on the day it is sold. If you pay more you are being taken, unless you collect on the theme of ships or a liquor theme. Personally I don't have any interest in such coins. I prefer coins with a historical value (even faint), I believe that bullion coins like this are only sold to make profit. I can understand that people collect them but that's not what I'm looking for in coin collecting. and what about limited edition it is only 300 coins..... this is not important?? It's a normal mintage for new gold coins. Nothing special. Quote: "Arkadiusz" ​and what about limited edition it is only 300 coins..... this is not important?? A lot of modern gold coins have low mintage numbers in the 1000s or even 100s, nothing special. ​Gotta agree with Choucas, perhaps it will be historically valuable in a few centuries but for now I've no interest in most coins issued since 1945.
do you think it could be good inwestment?? ​do you think it could be good inwestment?? ​Sometimes these coins can be good investments, but generally it's a complete gamble. Most NCLT lose a lot of it's value after purchase, almost like a new car. But there are some that are gimmicky and get popular, like the Coke coins, and have good resale value. In general coins are not a great investment unless you buy extremely rare and expensive coins. ​​do you think it could be good inwestment?? ​​Sometimes these coins can be good investments, but generally it's a complete gamble. Most NCLT lose a lot of it's value after purchase, almost like a new car. But there are some that are gimmicky and get popular, like the Coke coins, and have good resale value. In general coins are not a great investment unless you buy extremely rare and expensive coins. It could be a good investment if you can get one for melt. But the ones with premium are mainly just for profit. The gimmicky-ness of the coin aside, does anyone know if this is the first/only coin that contains a liquid substance in it? I actually think that's pretty cool, just not cool enough to pay melt value, let alone any premium above that for it. Quote: "CassTaylor" ​The gimmicky-ness of the coin aside, does anyone know if this is the first coin that contains a liquid substance in it? Maybe one of them did? I'll edit this post to a forum link to Lamoneta.it where they make fun of this type of coin. Tuvalu got there first in 2013 with a whiskey coin! But this is only one coin, whole set has 3 coins with the oldest alcohol. Maybe set is a godd investment??? Quote: "Arkadiusz" ​But this is only one coin, whole set has 3 coins with the oldest alcohol. ​Maybe set is a godd investment??? ​what do you think ?? That is a ripoff even for a collector of NCLTs...... Definitely NOT a good investment! I know what I'm buying. And if it really has to be coins, I can buy most of VEIII's cold issues in MS! Quote: "loruca" ​And if it really has to be coins, I can buy most of VEIII's cold issues in MS! ​Now THAT sounds like a good investment! With that kind of money you could get around 170 sovereigns. ​​Maybe set is a godd investment??? ​​what do you think ?? ​That is a ripoff even for a collector of NCLTs...... Definitely NOT a good investment! ​This not even a bad investment, but theft!!! Quote: "yvon" ​Do you realize how much rum/whisky, or whatever drink you prefer, one can buy for that money??? You could get 1009 bottles of Bacardi rum with that much money. 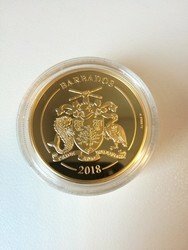 Quote: "CassTaylor" ​The gimmicky-ness of the coin aside, does anyone know if this is the first/only coin that contains a liquid substance in it? ​I actually think that's pretty cool, just not cool enough to pay melt value, let alone any premium above that for it. We have saying in Poland : "Who will prohibit the rich?" If you want to buy it, buy it. i paid about 6,3 euro with shipping. ​To be fair the drops of whiskey and rum embedded in the coins are from very old preserved bottles, but yeah, for the price of all three you'd probably be able to buy a pretty exclusive vintage to serve at a dinner party.